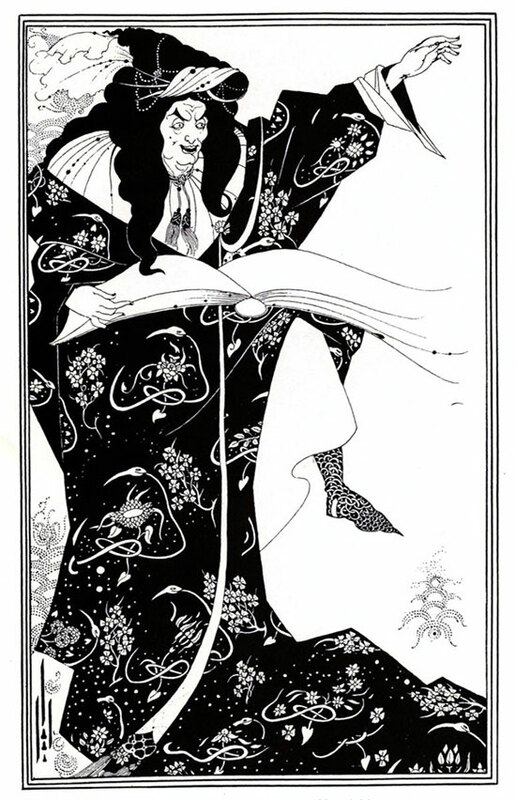 I thought today I would choose one of my favourite artists from the 19th Century Aubrey Beardsley. His intricate black ink drawings, references from Japanese Woodblocks, are beautiful, with the details and ornamentation like vines that seem to grow around the composition. 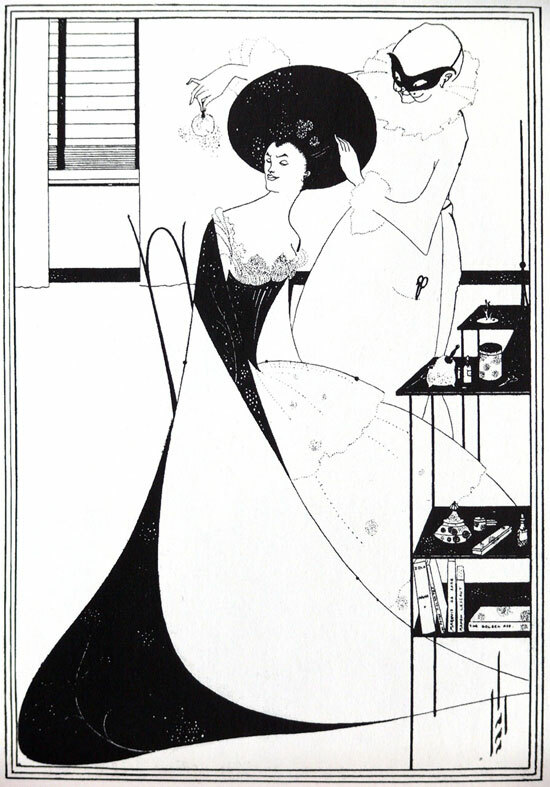 I was introduced to Beardsley during my research into the Art Nouveau, and similarly the Arts and Crafts movements. 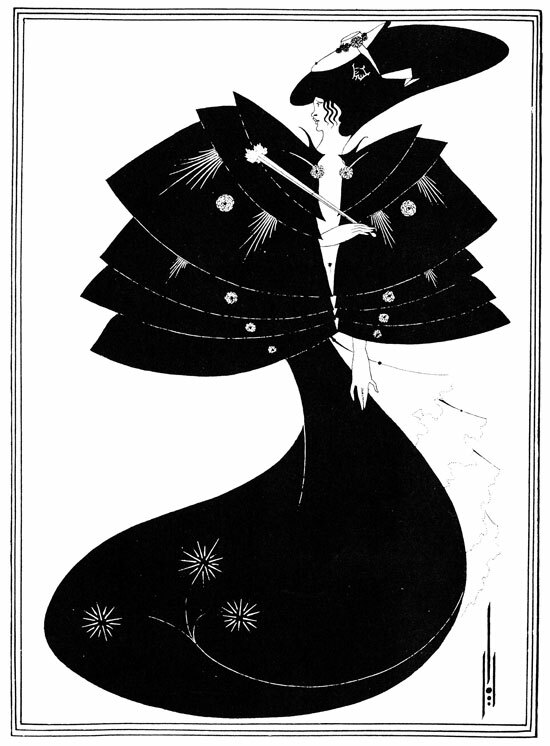 The imagery he uses can almost be grotesque which seems to contrast with the sheer beauty and femininity of Mucha's portraits for example. 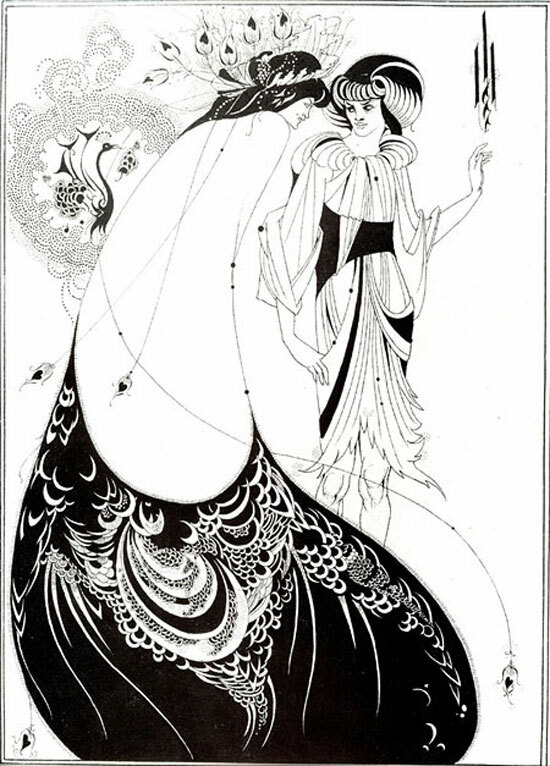 The white details contrasted against block shapes of black dance around the composition give life and movement to the images. 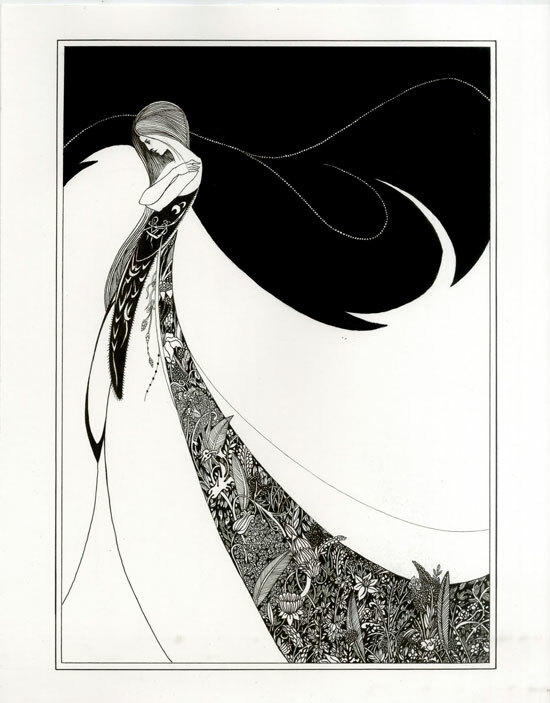 He has dealt with a variety of myths and legends and is also famous for his illustration of the Bible story of Salome. 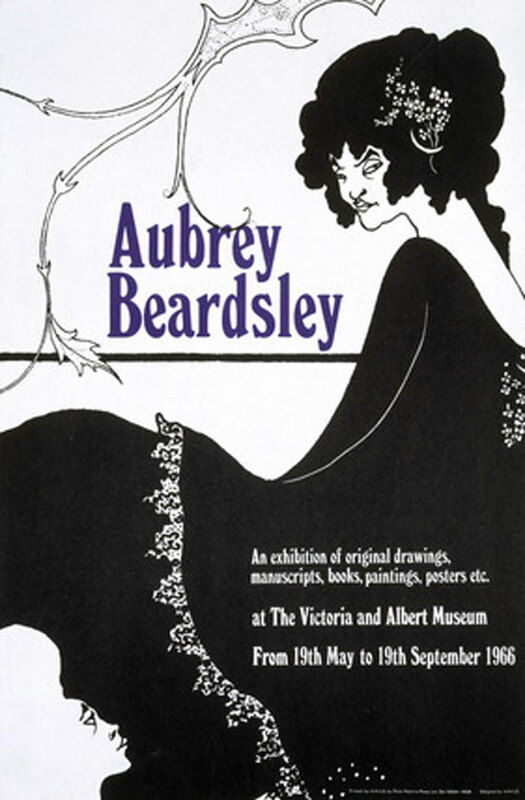 This poster for the Beardsley exhibition at the V&A Museum in 1966 can also be found in Tate Liverpool's 'Glam! The Performance of Style' exhibition. His use of decoration and pattern is a sharp, almost aggressive responses to the graphic block lines and shapes he uses in constructing the images.